Early in July a suicide bomber killed 10 members of Afghanistan’s Sikh community in the city of Jalalabad. The Sikh group were on their way to meet Afghan President Ashraf Ghani and included Avtar Singh Khalsa, the only Sikh candidate to be running in the parliamentary elections set for October. The victims of the bomb also included Afghan Hindus, with 19 people in total dying in the attack. 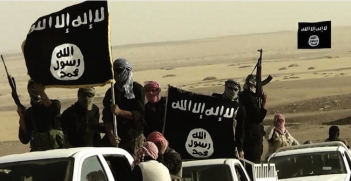 Islamic State (IS) claimed responsibility for the attack, stating its intention was to target “polytheists”. As the majority of the group were Sikhs, this displayed a great ignorance by IS of Sikhism as a monotheistic religion (albeit of a Dharmic, rather than Abrahamic tradition). The attack highlighted the current precarious state of the Sikh community in Afghanistan, with dwindling numbers that may soon end the religion’s 500-year presence in the country. Current estimates put the Sikh community at around 300 families, with only two gurdwaras (Sikh temples) remaining operational in the country: one in Kabul, another in Jalalabad. A decade ago the numbers were placed at around 3000 adherents. Yet prior to the Taliban’s ascendance in the mid-1990s there was a thriving community of around 50,000 people. Documents sighted by Professor Harjot Oberoi of the University of British Columbia indicated that in the 1940s the Sikh community was potentially as large as 200,000. The origin of the Sikh community in Afghanistan has broadly two streams. There are those who are descendants of converts to the teaching of Guru Nanak –Sikhism’s founder – during his trip to Kabul, recorded to be around 1520. These Sikhs are Pashto or Dari speakers, ethnically indigenous to the region, and potentially from groups who did not adopt Islam as the religion became regionally dominant between the 9th and 13th centuries. The second stream derive from the short-lived Sikh Empire (1799–1849) as it pushed westward, gaining control of territory to the Khyber Pass and Sikh merchants established trading routes into Kandahar and Kabul. This group speak Hindko, a dialect of Punjabi that is mostly found around Peshawar, in the province of Khyber Pakhtunkhwa in north-west Pakistan. The almost perpetual turbulence in Afghanistan over the past 40 years has created both the destabilising conditions and direct persecution that have driven Sikhs to abandon the region. During the Taliban’s control Sikhs were required to publicly identify themselves with yellow armbands and mark their homes and businesses with yellow flags. The Sikh tradition of cremating their dead proved to be a significant source of tension with the regime due to the practice being forbidden in Islam. Often bodies would need to be transported to Pakistan for cremation ceremonies. Despite the Taliban’s fall the Afghan state remains bound to religious frameworks in its approach to governance. Chapter 1, Article 2 of the current Afghan Constitution states that followers of other religions are “free to exercise their faith and perform their religious rites within the limits of the provisions of law.” However, the constitution also contains a repugnancy clause, stating that no law can be contrary to the tenets of Islam, and the penal code allows courts to defer to Shari’ah (Islamic law) in cases that involve matters not directly addressed by the penal code or the constitution. This provides a window for the state to invoke arbitrary conditions on religious minorities should it choose to. Presently, the state is not hostile to the remaining Sikhs, providing security for cremation ceremonies and affording community leaders the opportunity to meet with President Ghani, although the actual meeting was prevented by the IS bomb. However, in day-to-day interactions the state has limited capacity to protect Sikhs from societal pressures. Sikhs continue to face discrimination in the labour market and avoid sending their children to public schools due to bullying. Education in many cases is only available informally at gurdwaras. Sikhs have had to scale back celebrations of their religious festivals so as not to attract attention. Yet as a visibly recognisable group, they are subject to harassment and pressure to convert to Islam when in public. The bombing in Jalalabad also indicates that Sikhs face continuing violence from extremist groups like IS. The claim by the terrorist group that they were targeting “polytheists” also speaks to the inability of Islamists to distinguish between Hindus and Sikhs despite their significant religious differences. This perception also plays into the transnational nature of religious tensions in South Asia. In 1992 when Hindu mobs destroyed the Babri Mosque in the northern Indian city of Ayodhya, a key event in the ascendency of current ruling Bharatiya Janata Party in New Delhi, a gurdwara in Kabul was burnt down in reprisal. This lack of distinction is compounded by the need of both minority communities to combine their resources in Afghanistan to protect their interests, but it also highlights the unease that Sikhism has experienced within Islamic communities. Despite its shared monotheism with Islam, Sikhs across the subcontinent have generally found greater community acceptance in majority Hindu areas. When India was partitioned in 1947, Sikhs overwhelmingly rejected the new state of Pakistan, migrating east into the Hindu majority — albeit constitutionally secular — truncated state of India. This was despite the fact that a number of Sikhism’s holiest sites were now found to be located in the newly-formed state of Pakistan – including the birthplace of Guru Nanak – and that the city of Lahore had traditionally been the Sikh cultural capital, as well as its political capital during the times of the Sikh Empire. The tensions between South Asia’s religious communities have become more pronounced due to the rising influence of Wahabi strains of Islam emanating from Saudi Arabia, as well as South Asia’s own indigenous Deobandi radical religious sentiment gaining greater traction. Both approaches are replacing the traditionally more accommodating Sufi Islam that had previously dominated South Asia. Afghanistan’s future stability is tied to forging a national identity that is inherently plural, yet this aspirational plurality is primarily concerned with ethnic harmony. The country’s problems also remain focused on the tensions within Islam that are a continuing destabilising force. The presence of religious minorities looking for space within a national sentiment is a further complication. In 2016 the Afghan Government did approve a reserved seat for the Sikh and Hindu communities in the Parliament – the seat that Avtar Singh Khalsa was running for – however the fragile government in Kabul has little interest in bringing further suspicion on itself from radical groups by offering any greater guarantees to such a small section of the population. For Afghanistan’s remaining Sikhs, the targeting of their community by IS will require a serious assessment of their options. India has issued long-term visas to members of Afghanistan’s Sikh and Hindu communities, although Indian citizenship remains difficult to secure. A large community of Afghan Sikhs has formed in the London suburb of Southall and the UK Home Office and the Canadian House of Commons have both recently created reports that look favourably upon claims of asylum for Afghan Sikhs. Yet, despite the difficulties the community faces, some Afghan Sikhs retain a defiant certainty that their future lies in Afghanistan. Grant Wyeth is a political analyst focusing on Australia and the Pacific, as well as India and Canada. He holds a Master’s of International Relations from the University of Melbourne with a focus on political philosophy and development theory. 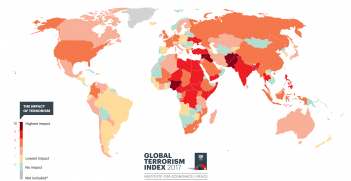 This year's Global Terrorism Index indicates a significant shift in the tactics employed by terrorist groups and a complex new challenge for security and intelligence services. Analysis of jihadist communications is a vital tool for shaping Australian counterterrorism efforts. 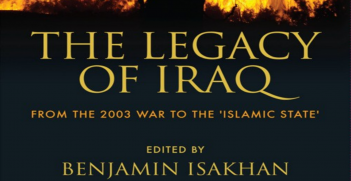 Islamic State’s Dabiq magazine remains an important source.